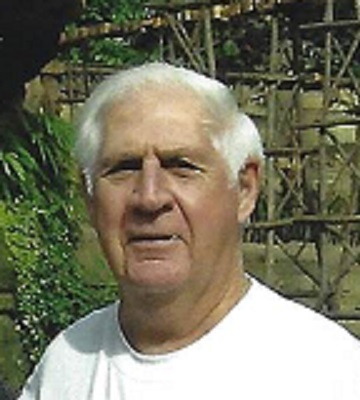 James L. “Jim” Toms, 80, of Smithsburg, MD, passed away peacefully, Tuesday, April 2, 2019 at his home with his wife Mary by his side. Jim was a kind gentle man whose favorite song was “What a Wonderful World”. Jim owned and operated Fairlane Exxon for over 20 years. He worked for McHenry Auto Parts until his retirement. He will be remembered for his love of bowling, for being a Dallas Cowboys and Baltimore Orioles fan and for keeping a beautiful lawn. Jim was a devoted husband to his wife Mary for 30 years and in addition to her, he leaves behind children, Renee Kane, Jamie Wolfe and Tammy Kline, grandsons, Ricky Wolfe, Travis Routzahn and Dale Kline, great-grandchildren, Peyton and Dylan Wolfe, siblings, Harvy Toms, Jr., Alice Calari, Shirley Young, Gene Toms, Terry Milan, Michael Toms and Wanda Stokes, his furbabies, Dallas and Lucy, best friends, Don and Mary Crabbs and numerous nieces and nephews. He was preceded in death by his parents, Harvy and Dorothy (Trout) Toms. Jim proudly served in the United States Army. He was a member of the American Legion post 282 of Woodsboro, MD. A memorial service will be held Wednesday, April 10, 2019 at 11:00am at J.L. Davis Funeral Home, Smithsburg, MD. In lieu of flowers, memorial donations may be made in memory of James L. Toms to Hospice of Washington County at www.hospiceofwc.org or the Humane Society of Washington County at www.hswcmd.org. Online condolences may be offered to the family at www.jldavisfh.com.